The small village of Inchigeela in County Cork, Ireland, a village mostly of farmers and their families, consists of a Church, a school and a parish hall, a funeral parlour and two hotels. Not a sizeable place by any means. 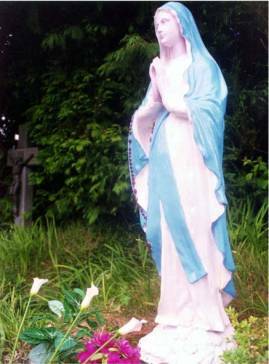 Just two miles outside of this village, a mere two miles on the Dunmanway Road, there is a very peaceful Irish grotto, 'Gortaneadin' by name, a grotto dedicated to Our Lady of Lourdes, and erected by the McCarthy family to fulfil the wishes of their late daughter, Mary. It is this site that was chosen by God for the extraordinary events that would occur throughout the course of several years - the apparitions of the Blessed Virgin Mary, Queen of Heaven and Earth and the Holy Mother of God!